William A. 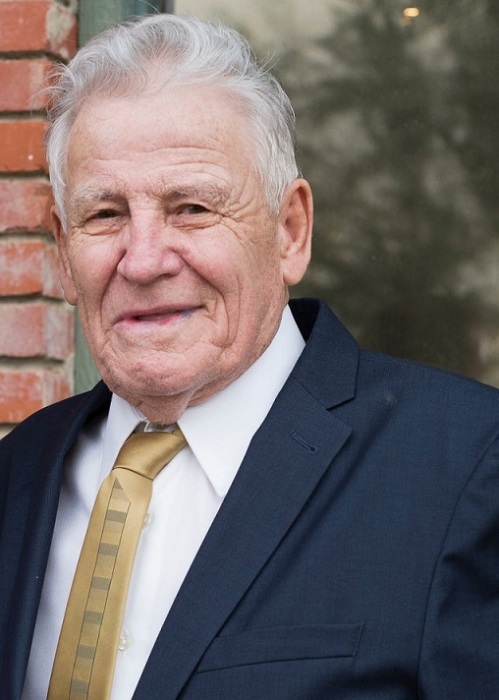 “Bill” Slocum, 85, long time Garfield resident, passed away following a stroke, on February 5, 2019 at Whitman Hospital in Colfax, WA. Bill was born in Shelby, Montana on April 1, 1933 to Baldridge A. and Frances L. Slocum. He was the fourth of six children. The family moved to Whitefish, Montana where he attended school and graduated from Whitefish High with the class of 1952. He joined the US Navy and was in the Naval Air Corp as an Aviation Electronics Technician and served on the USS Oriskany. Bill was honorably discharged in 1956 and then enlisted in the National Guard for an additional four years. He married Delores Genger in 1956 and they resided Whitefish. They later divorced. Bill married Lynda Byrne in 1967 and they made their home in Garfield, WA. Bill was a man of great strength with many talents and a strong work ethic. All of which contributed to his variety of occupations; starting with a paper route at the age of 6 and ski patrol while in high school. He had numerous jobs, some of which include Great Northern and Northern Pacific Railroads, Potlatch Corporation, Washington State University, Bennett Lumber, Grange Supply Manager, and Towns of Garfield and Endicott. He also dug many graves by hand for area cemeteries. In 1987 he started long-haul trucking driving for Mayflower, Glacier Carriers, Carnaco and Nestles. He also drove for many local companies before retiring from NuChem at the age of 74. He was a member of the American Legion and Ladow Grange. Bill is survived by his wife Lynda, his children Eric (Shelley) Slocum of Palouse, daughter Heidi (Ben) Elder of Colbert. Grandchildren Jake (Sara) Strissel, Rudyard, Montana, Matthew Strissel, Flagstaff, Arizona, Josh (Katie) Strissel, Bozeman, Montana, Brock (Jamie) Slocum, Palouse, WA, Blake (Shelby) Slocum, Pensacola, Florida, Layna Elder, Colbert, Landon Elder, and Lauryn Elder both of Bozeman, Montana. Great-grandchildren Brandon and Emma Strissel, Bozeman Montana and Cooper Slocum, Palouse, WA. Sisters-in-law Frankie, Whitefish, MT, Sylvia, Phoenix, AZ, Marty, Spokane, WA and numerous nieces, nephews, and friends. He was preceded in death by his father Baldridge, mother Frances, siblings Robert, Rosalie, Mary, Bruce, Bernard and his son Bill Strissel and daughter-in-law Nellie Jo Strissel. A memorial service will be held on Saturday, April 13, 2019 at 2:30 pm at the Garfield Christian Fellowship Church with Pastor Dean Walker officiating. The United States Navy Honor Guard and Garfield American Legion Participating.